Flowers in the Spring- Genius, Right? It is a no brainer that floral is on trend this Spring. Not just any floral, we are seeing bold flowers of every kind with intense color ways and detailing. I myself was never a flower girl as I used to run from any pastel floral design. Designers have revived the flower power while erasing your thoughts of your grandmothers wallpaper. Old Navy to Louis V have all paid homage to the rose that grew from the concrete. Bold buds blossom over pants , blouses, dresses and purses. When I see the dramatic yet subtle statement pieces , they say "I am woman - Hear me roar." Don't get me wrong, the fellas can get in on this too. Blogger and Makeup Artist Lana Mack is showing us how to slay the trend in more ways than one. 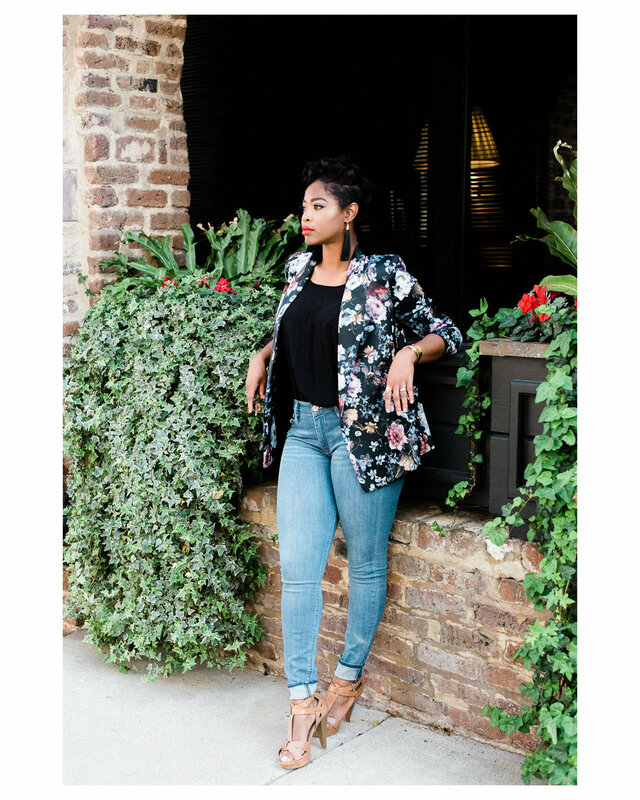 She shares, " Florals are great because they are so versatile. Certain prints give me fun and flirty vibes, whereas others can be a little more fashion forward and edgy!" Go witness her fashion forward fits on IG @shesagoldmine. High End to Low End - You can get in on this trend through statement pieces and accseories ! Check out a few hand picked items that you will allow you to add a little pazazz to your spring wardrobe.